I am extremely proud and committed to the role of Chair for Sport Without Boundaries. Our small, but passionate and successful charity is driven to create sporting pathways and opportunities for young people with disabilities. 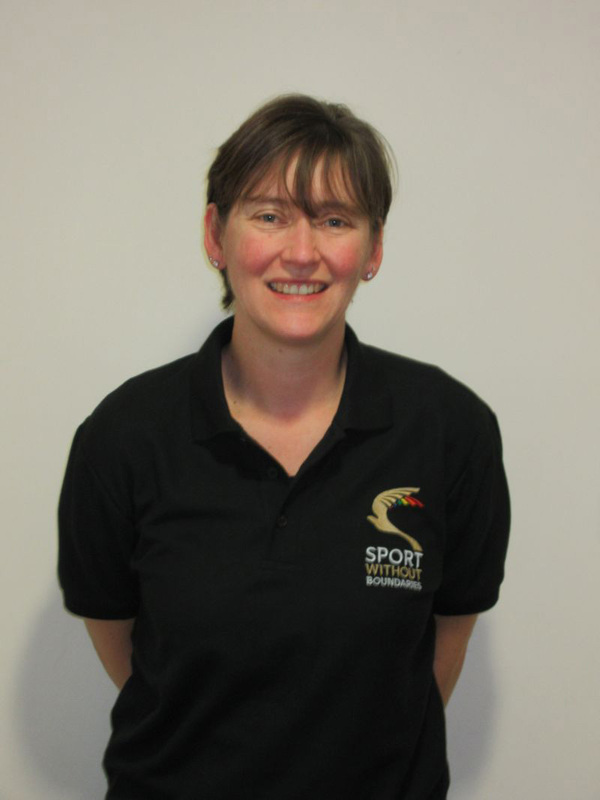 I have 15 years of experience in the leisure industry as a Community Development Manager, I am a board member for Active Sussex and have been involved with disability sport for 10 years. I am extremely proud to have been a Torch Bearer at the London 2012 Paralympics and to have successfully managed the Sussex Parallel Youth Games for the past 5 years. My responsibility as Chair is to steer a dedicated team to achieve the objectives of our charity and represent us at any given opportunity. You will see me at many of our events and competitions, as well as raising funds whenever I can! 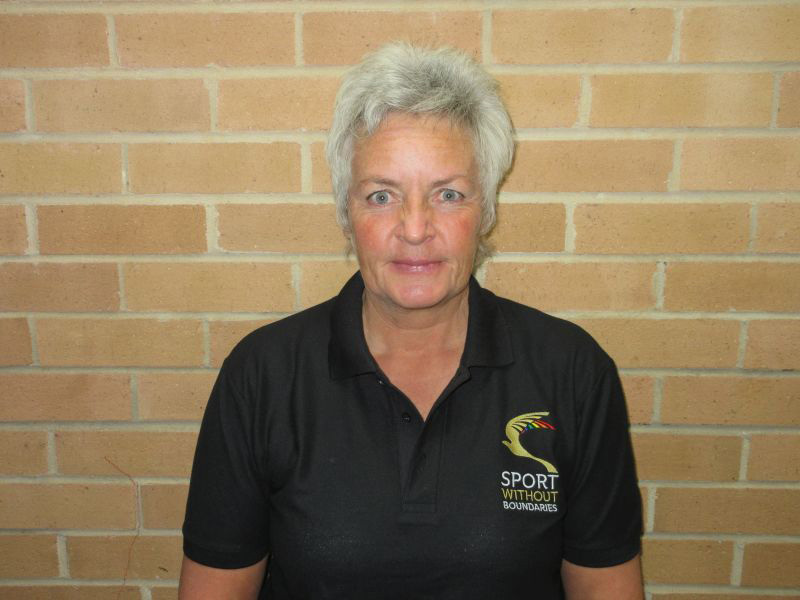 I have worked in Physical Education for just over 30 years. 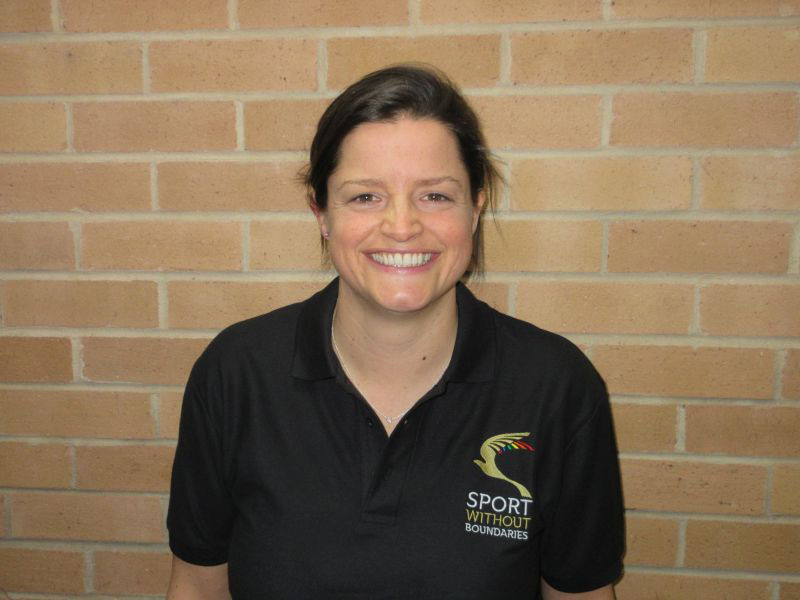 During the first part of my career I taught PE full time and over the last 15 years have mainly been involved with the organisation and provision of sporting opportunities for the youngsters from primary schools within the Littlehampton area. I have also had the pleasure of working alongside a team who are passionate about giving all young people regardless of ability a sporting chance. 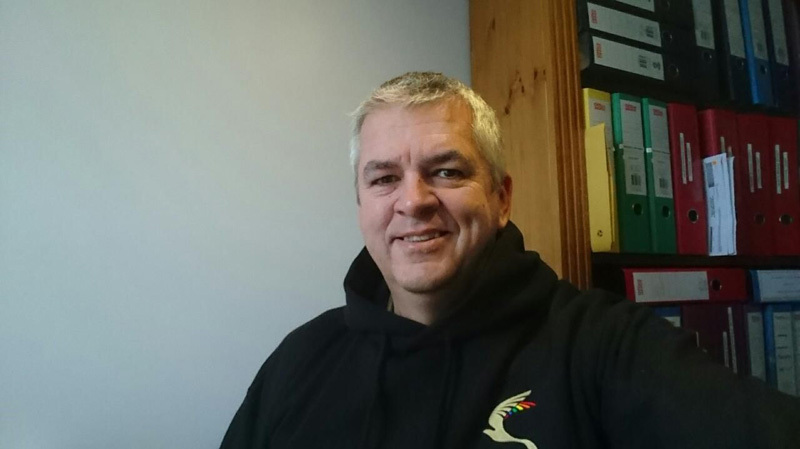 I help organise events on the SWB Inclusion Sporting Calendar and am always keen to expand SWB provision to young people with physical, sensory and learning difficulties. In my spare time I chase a little white ball around fairways, bunkers and unfortunately water too. It is my dream that, as well as getting my handicap down to two less than at present that one day we will have a youngster that has been inspired through involvement with SWB medalling at the Paralympic Games. I know it will happen – fingers crossed in Tokyo! 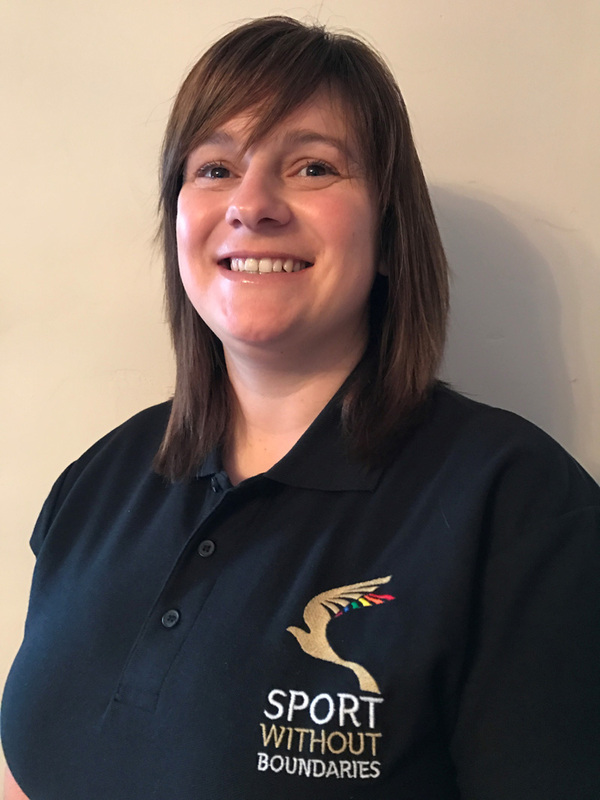 Hi, I'm Nat I've been a PE teacher at The Lavinia Norfolk Centre at Angmering school for 10 years (ish) and have had the fantastic luck to work with some amazing young people. I lead the parasport in the school and love the opportunity to have our young people competing in and generally winning (!) the SWB events. Following on from their SWB success the guys compete on the National and International stage. Our particular strengths are Boccia and Athletics. We look forward to seeing some of our team in GB kit one day. 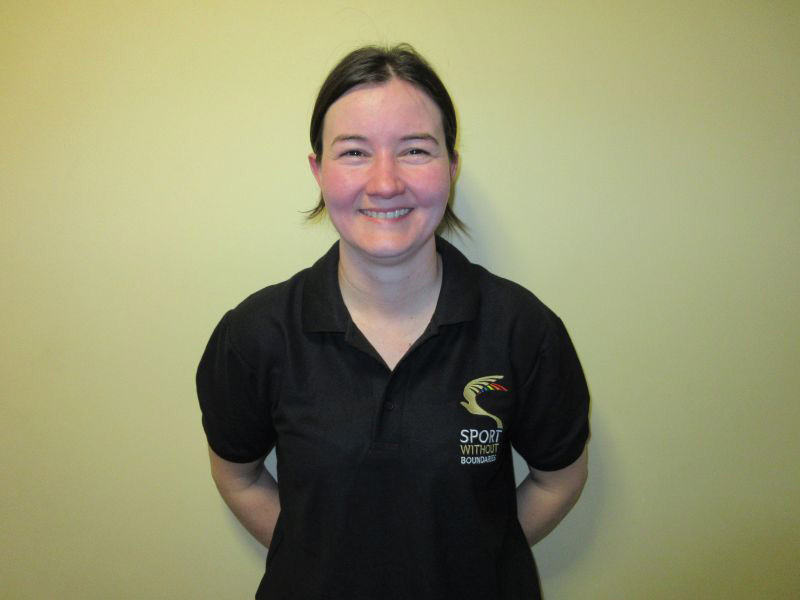 My name is Claire Moyle and I have been a sports coach at Oak Grove College (special needs provision) for the past 11 years. Before that I was involved in providing sports opportunities in the community for adults with learning disabilities and helped set up the Seal Club in Worthing and the multi sports club at Westergate, which was how I first became involved in the Southern area sports partnership. It is through this group that I saw the need to offer opportunities outside of school and decided to set up Special Olympics Worthing, which gives disabled people the opportunity for regular training and competitions in a range of sports. I am proud to take on the role of Club Links for Sport Without Boundries and hope that I am able to signpost young sports people into clubs that will support them to achieve their dreams. Outside of my work I am a triathlete and tennis player and spend my spare time training and I have set myself a challenge of doing my first open sea triathlon. 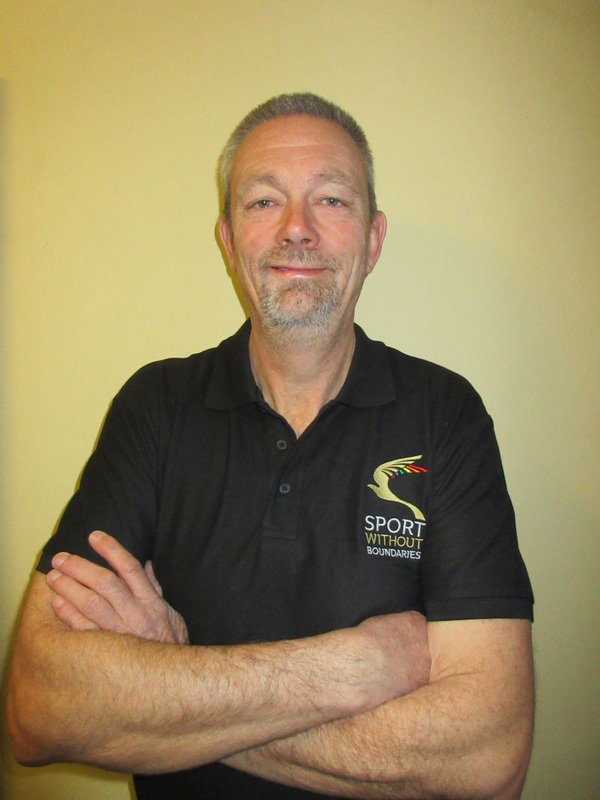 I have been involved in teaching sport for the past 30 years or so. Much of this focus has been on inclusive sports and in particular parasport, working with a range of talented young people in a variety of sports, resulting in an adventure to Dubai in 2011 for the IWAS games with one of our table tennis players - which just goes to show where sport can take you! 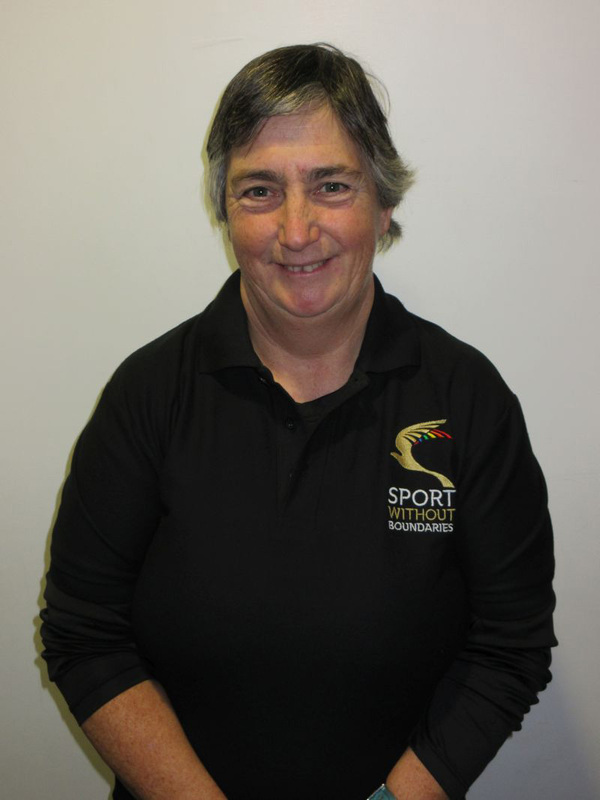 I currently work with a group of successful England boccia players and volunteer with the BWAA. In my spare time I continue to be a frustrated and obsessive golfer and self-confessed sports fan. I have a huge passion about inclusion and sports. Being part of the Sport Without Boundaries team is a true honour and privilege. The SWB team creates exciting opportunities which enable children to access sport ; this helps build their confidence as well as friendships and so much more. 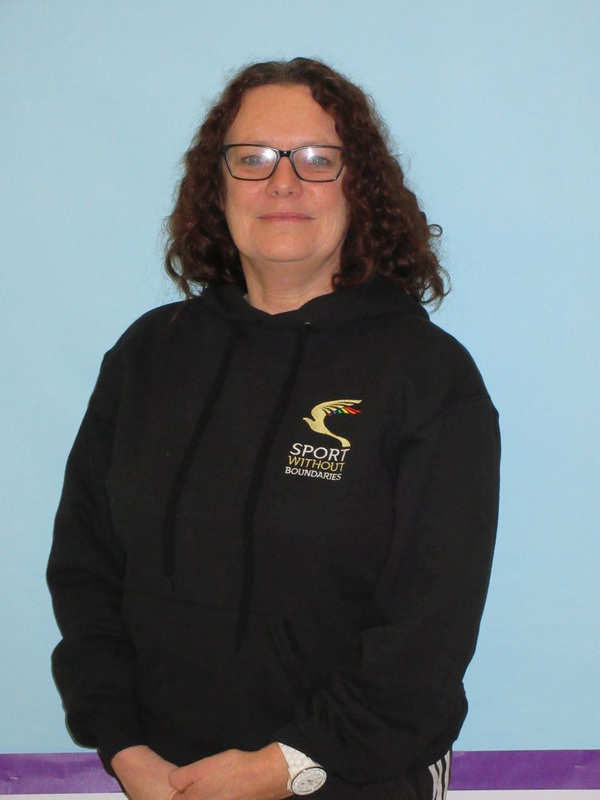 I work as a learning mentor within a mainstream school as well as working with children with additional needs. Outside of school I enjoy walking with our Pet Therapy dog Holly, helping out with Autism Sussex and spending time with my family and friends. Having worked within the field of Disability Sport Development and Management for over 15 years’, I have seen first-hand the benefits this charity can offer young people with additional needs. Sport Without Boundaries have a fundamental strength: a committed group of passionate volunteers, parents and young people who have gained personal knowledge and skills through the charity. They are now proud role models for future sports stars, many of whom are representing not only their schools, but also their County’s and in some cases their Country too! I feel privileged to be a trustee with Sport Without Boundaries. In my spare time, I enjoy spending time with family and friends, outdoors camping and long walks with my dog! My sporting hobbies include a variety of watersports. The others have all the fun!! I have been working with Sandy and her team with the aim to make SWB a successful, well financed charity that can thrive and continue to grow in the future. I also have been helping develop Middleton Sports Club (a venue SWB use frequently) into a truly inclusive and accessible facility.